Paying their second visit to Yorkshire music venue The Meeting Room Elland on 26 May 2018 are Gerry Jablonski and the Electric Band – a four piece blues rock powerhouse with a reputation for winning over their audiences with their rollercoaster ride of original music that pays tribute to the blues-rock classics that have influenced this band. Gerry Jablonski & The Electric Band fly the flag for a rich Scottish blues heritage that goes back to the likes of Jack Bruce, Maggie Bell’s Stone The Crows, Frankie Miller, Big George & The Business, Tam White, Blues ‘n’ Trouble, and more recently The Nimmo Brothers, Lewis Hamilton, Dana Dixon and Dave Acari. Packing killer riffs and striking solos, Jablonski and his explosive band redefine rock blues on their own terms. Gerry is a master guitarist with the well-honed stagecraft of a seasoned performer. 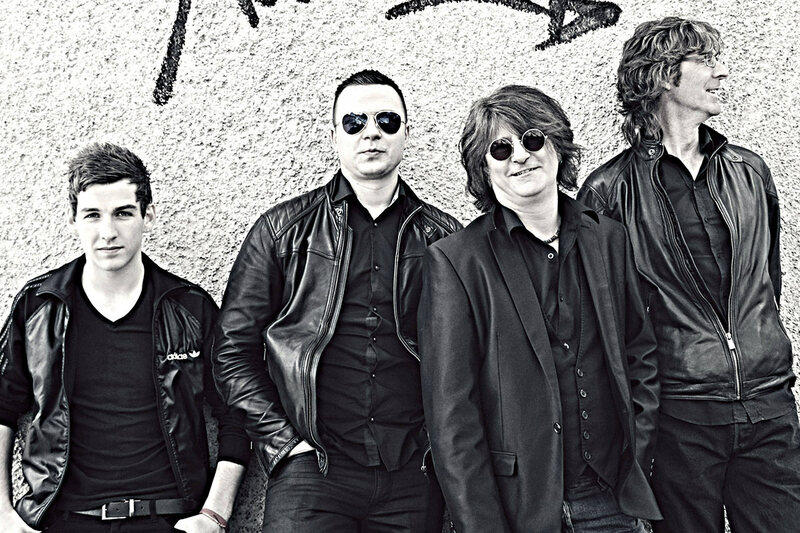 Blending blues roots with the influences of Classic Rock, Gerry and the boys make this a blistering powerhouse of a British Blues band. Over the last five years, guitarist Jablonski and his band have honed their own signature sound, full of brusque harp-led note flurries and plenty of light and shade with imposing guitar resolutions over a rock solid rhythm section. They’ve released three albums to date, all included in Classic Rock blues magazine top albums of the year, and have enjoyed airplay on BBC Radio 2 Paul Jones Blues Show. They’ve toured in Poland, Holland, Germany and Norway and played all the major UK blues festivals. The band take no prisoners, reeling in the audience and giving off so much energy the crowd have no choice but to bathe in the reflected glory of four musicians letting it rip and giving their heart and soul to the performance. There are no airs or graces or niceties – gutsy rock n roll and with memorable melodies, sweet harmonies and a powerhouse rhythm section – an absolutely refreshing and life-affirming experience that only a truly phenomenal performance can bring. Check out scintillating rock and blues from Scotland’s premiere live band at The Meeting Room Elland.